A page on TigerLocal will showcase your business to hundreds of local people looking for a heating oil supplier. So you'll get serious enquiries from new customers. 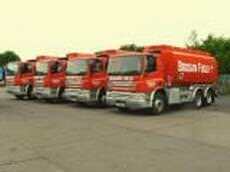 Specialist Suppliers Of All Types Of Fuels Nationwide, Birmingham Fuel Oils has built an excellent reputation for taking on challenging deliveries. Bernard Brogan Ltd was founded in 1924 by Scottish boxing champion Bernard Brogan, selling paraffin from the back of a horse and cart. 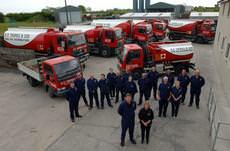 The company is still very much a family firm, geared up for the ever changing fuel environment. 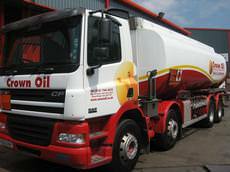 Based in Bury, Manchester, Crown Oil offers a complete range of fuels and lubricants to clients throughout the UK. 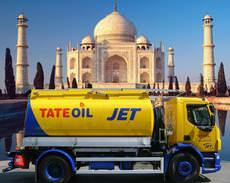 Formed in 1947 the company has a huge wealth of experience in the oil industry. Since establishing the company in 1987, KP Thomas & Son has progressed from a single lorry Coal round, to the present day with five Coal and Bottled Gas delivery lorries covering all of Pembrokeshire and West Carmarthenshire. 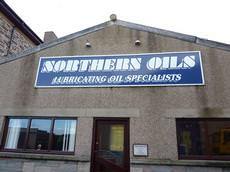 Northern Oils are a leading supplier of competitively priced gas oil and kerosene throughout Scotland, including Shetland and the Western Isles. If you are looking to purchase heating oil there are a number of things that you need to consider in order to get your purchase just right. Some of the frequently asked questions and answers below relating to the purchase of heating oil may help you with your purchase. 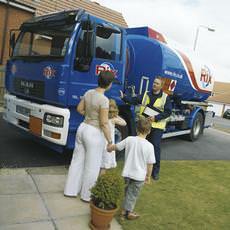 Heating oil is a form of clean burn oil that is used for domestic and commercial heating appliances. There are a number of names for this type of oil, including kerosene, burning oil, and standard kero. What sort of heating oil do I need? It is important to check your appliance manual to find out which oil you need as you need to ensure that you use the correct one. If there is no user manual, contact the manufacturer of the appliance and quote the model number or type of device to them so that they can provide you with this information. How can I keep the cost of heating oil down? One mistake that many people make when it comes to buying heating oil is to wait until the last minute and then rushing around trying to get new supplies. Not only is this an inconvenience but it can end up costing you more. Most people run out of oil in the winter when they are using their appliances more. They then try and buy supplies at a time when suppliers are low on stock due to increased demand, and prices are higher. Instead, buy your stocks in the summer and store them for the colder weather. You will then have the luxury of being able to top up your supplies when prices dip rather than having to buy them regardless of price because you are running low. How much oil do I need to order? You will often find that suppliers have minimum order requirements, so this is something that you will need to adhere to. Also, bear in mind that you may get it at a slightly lower price if ordering in greater quantities. How come the cost of heating oil changes so often? The cost of heating oil can be affected by the fluctuation in crude oil prices, which have been very turbulent over the past couple of years, sending the cost of things such as petrol soaring. You should therefore be prepared for large fluctuations in price, which is something that is out of the control of suppliers, and this is why you should try and stock up when prices dip. 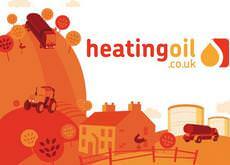 How can I find the best price on heating oil? The best way to find the most affordable pricing on heating oil is to compare the different suppliers to see what they offer. Some may offer special deals on certain minimum orders and others may simply be a little cheaper than rival suppliers. Use the Internet to compare the prices so that you get the best deal possible.